From mid-1986 to date, Mr. Adelman has moved to the "other side," with a legal practice geared almost exclusively to defense of Federal Tax crime investigations/charges. The range of services is from full-scale legal representation to consulting, serving as co-counsel or as an expert witness. These tax defense services are available for tax evasion, non-filings, Federal Grand Jury, false tax returns and/or false statement Federal Tax cases. 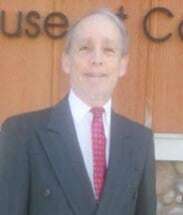 Mr. Adelman is also available for all issues typically involved in U.S. Tax Court cases, tax audits and administrative appeals from audit determinations, or for IRS collection disputes. Finally, Mr. Adelman has the expertise to offer counsel and representation in all types of State Tax disputes, especially for States located on the East Coast. The tax defense services are not only for individuals and businesses, but also can be structured to assist accountants, or attorneys, who may wish to retain control of a client, while being guided and counseled behind-the-scenes by an expert with almost 48 years of tax controversy experience. Legal fees are reasonable, especially in light of Mr. Adelman's 16 years of compliance experience with the Treasury Department and almost five decades as a defense attorney. Terms will be proposed in written form, time actually used for legal services will be itemized, and any unused portions of retainers, or other advance payments, are refundable to the client.